Good corner location across the street from a high traffic grocery store and hardware store in SE Topeka Kansas. 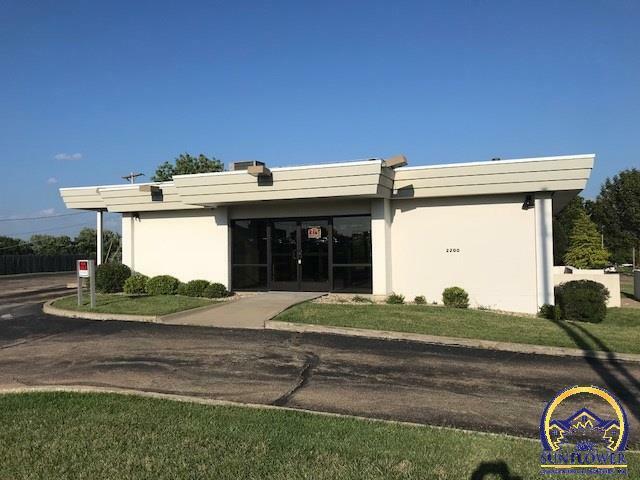 Former bank building with ample off street parking, good signage visibility, a drive through window, two entry areas, and finished space in the basement. Lots of potential uses here for the end user: banking, office, retail, medical, boutique restaurant.... the list goes on and on. Building is available for rent also at $2900 a month with flexible lease terms. Come take a look today.